Speechless, loss of love, perhaps desperation? How else can Jasmine’s journey be described otherwise. 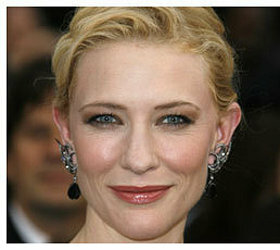 Meet Woody Allen’s Blue Jasmine played by Cate Blanchett. Nobody else would have been less perfect and if she does win the Academy Award, it is well deserved. Blue Jasmine is the story of a school dropout who marries a rich man (Alec Baldwin) who turns out to be a con and her world comes crashing down. The difference is that it has been made by Woody Allen who has his signature strength that of relationships. Jasmine has no choice but to go back to her step sister Ginger (Sally Hawkins) and face the challenge of starting her life again. When she arrives with her Louis Vutton bags, she quickly realizes the adjustments she must make and when she meets Ginger’s new boyfriend Chili (Bobby Cannavale) it reminds her that she doesn’t want to live in mediocrity and going back to school as much as getting a job will bring her back to her feet. She soon gets a job as a Dentist receptionist who no doubt tries to seduce her and here you also see that no matter what poverty and embarrassment her husband Hal put her through her dignity and value as a woman remain intact. At a boring party she bumps into Dwight (Peter Sarsgaard) but her white lie catches up and Dwight doesn’t have the depth to see the real Jasmine. Cate Blanchett has been most stunning and very close to her performance in the Curious Case of Benjamin Button, with Blue Jasmine she goes beyond and is the winner through and through.